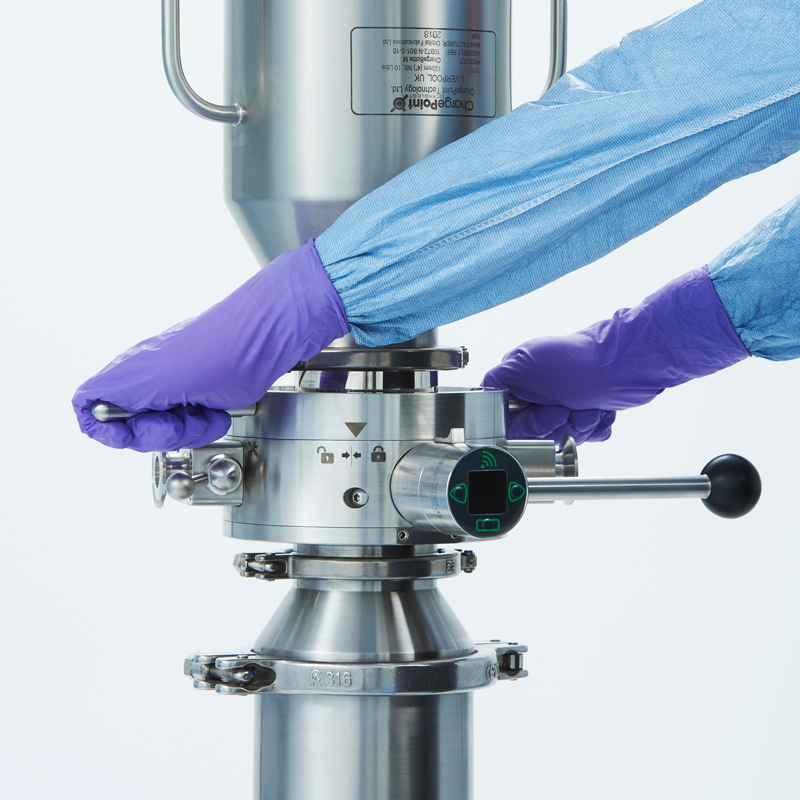 ChargePoint technology’s aseptic powder transfer valves offer increased sterility assurance when handling sensitive ingredients and small components in fill/finish aseptic processing and biotech sterile API production. 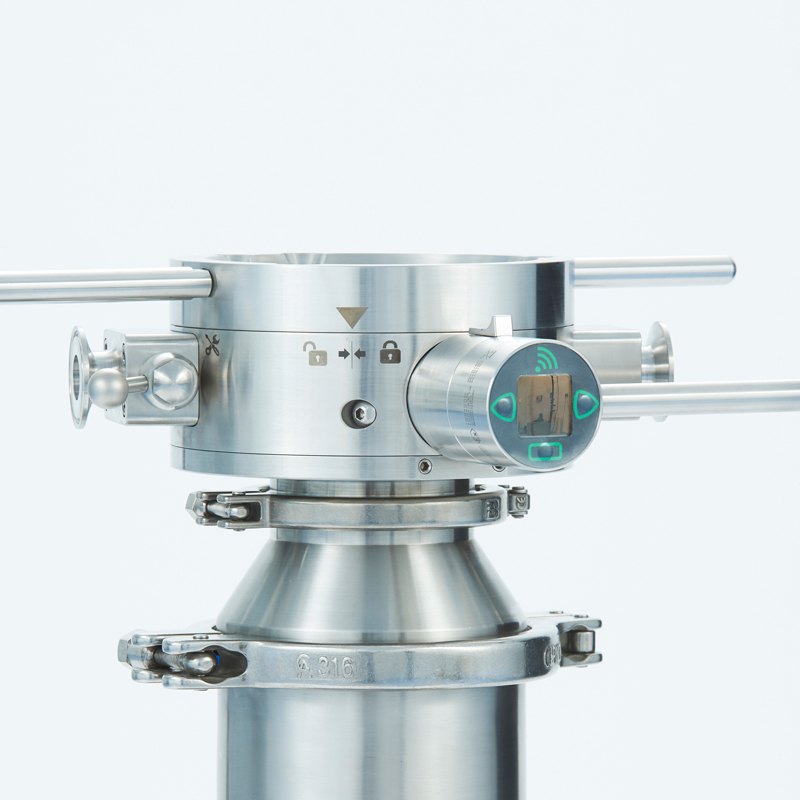 The AseptiSafe® Bio valve performs aseptic transfers that maintain critical area integrity with an SAL of up to 10-6. 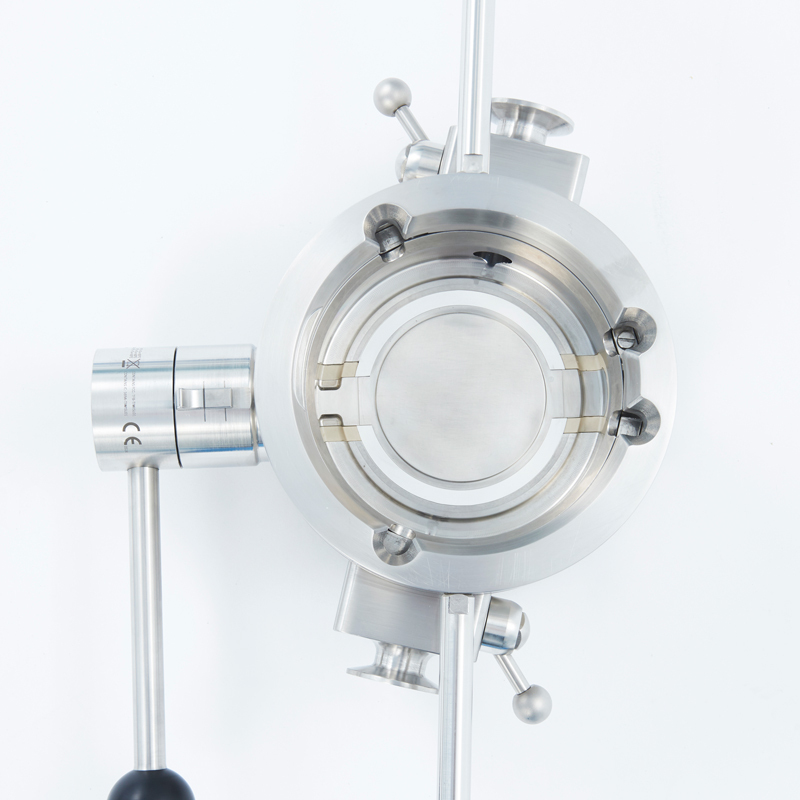 ChargePoint’s industry leading, patented AseptiSafe® Bio valve uses an enhanced decontamination step in the split butterfly valve process to provide a validated 6 log reduction. 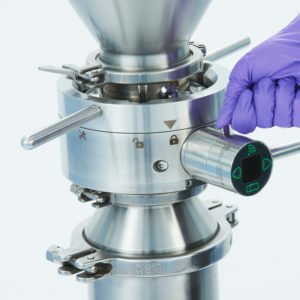 During the product transfer process using the valve and before the product is transferred the disc faces of the Bio valve are exposed to decontamination gases within a sealed chamber to ensure decontamination of all critical areas killing organisms effectively and quickly whilst protecting the product from the decontamination gases. 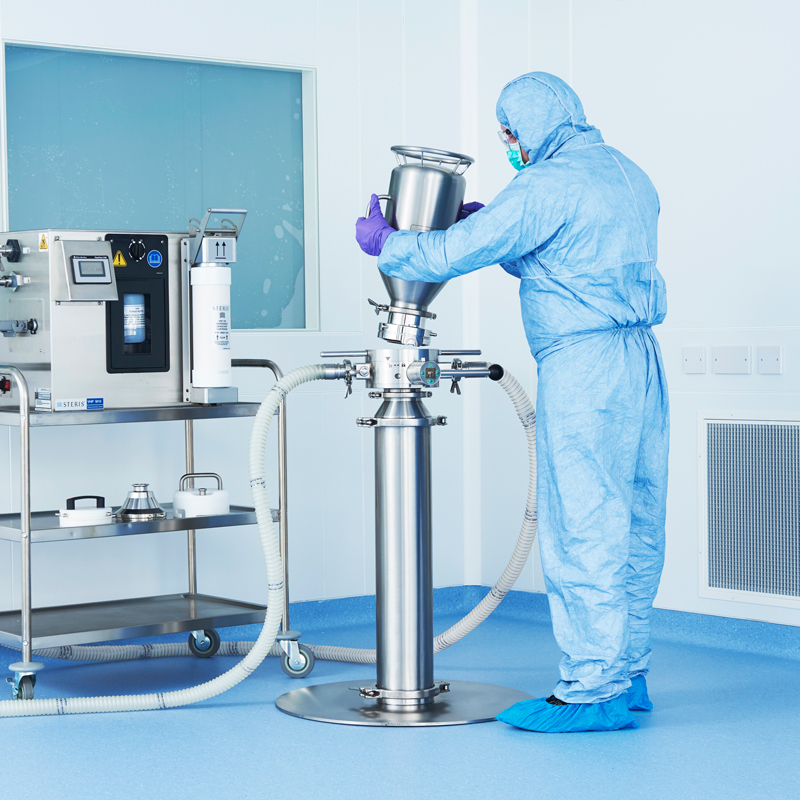 The active unit is sterilised in place with the use of a SIP Passive unit. The two valve halves are docked together. 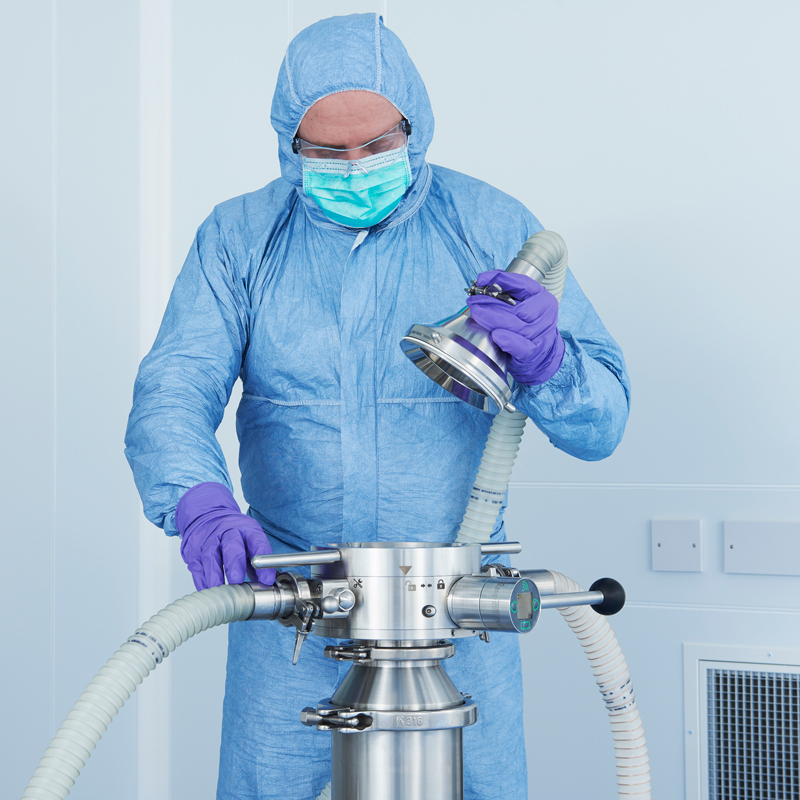 The disc faces are exposed to decontamination gases within a sealed chamber prior to the product transfer to ensure decontamination of critical areas. The active unit is the driving half of the valve. 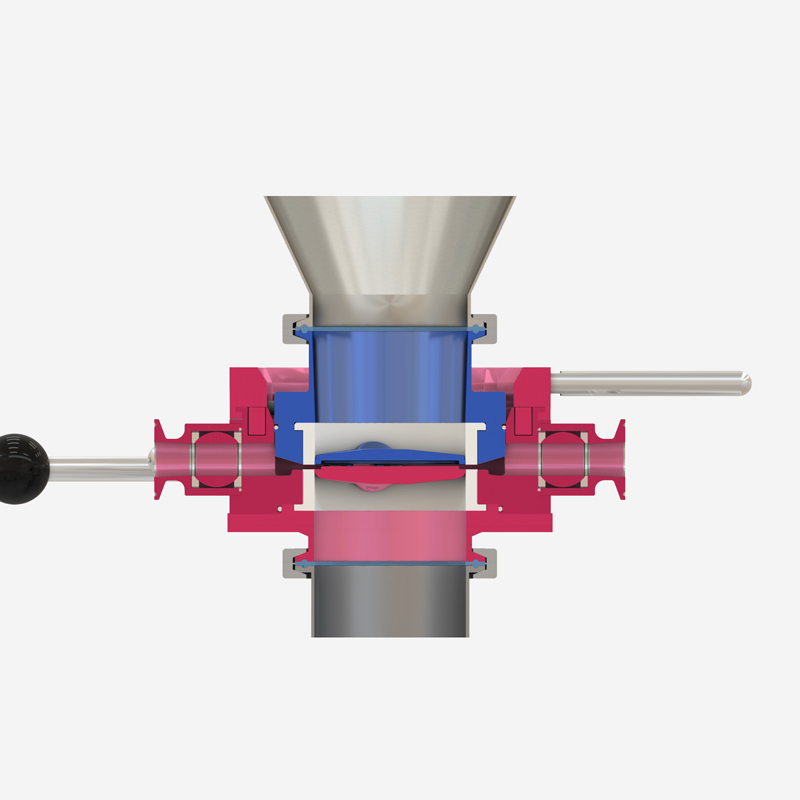 Once operated the disc will open to allow the transfer of material through the valve. The active and passive interface is sealed to ensure no material can penetrate the critical area. 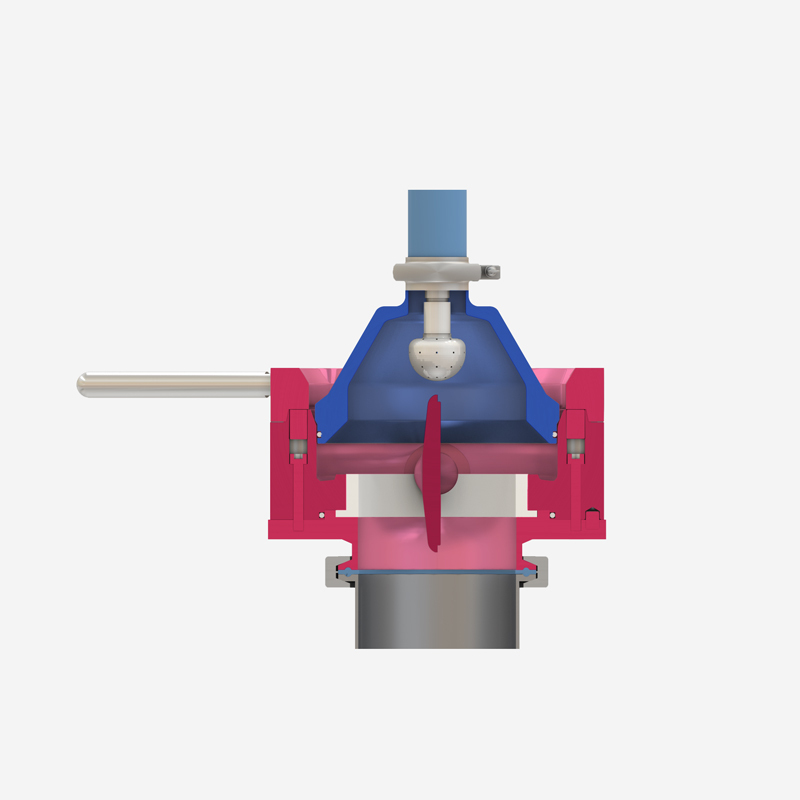 Once the transfer has taken place the valve is closed. 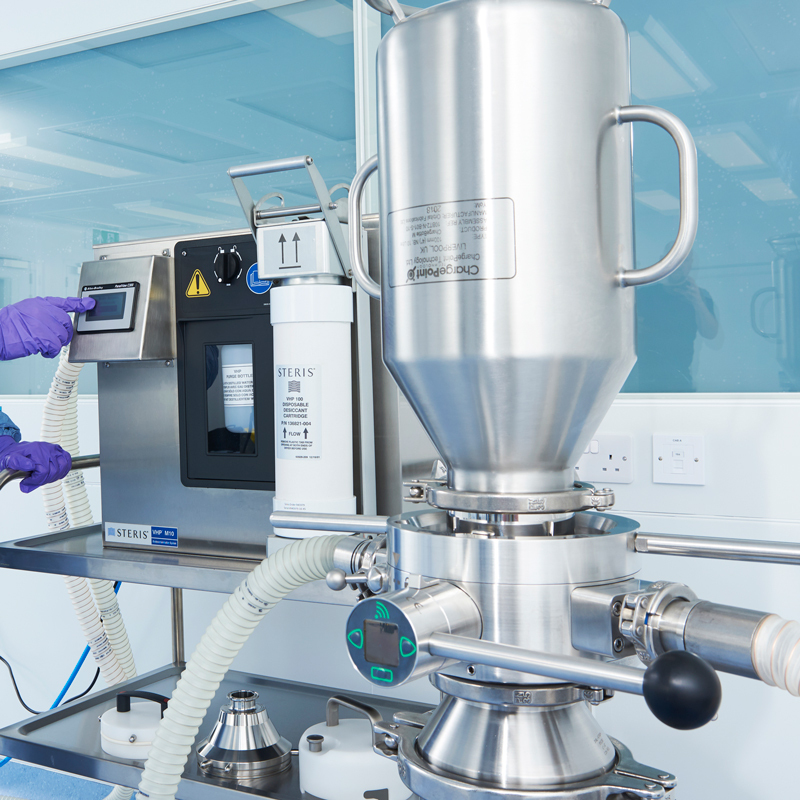 The active and passive units are then unlocked and undocked revealing the previously closed interfaces ensuring a clean transfer.